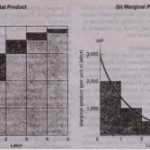 Meaning of Equal Product Curves In recent years, a t nique has been developed to study the theory of production and to show the e it” • of a producer regarding combination of factors. 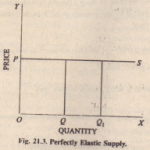 This technique is of iso-product curves which is a parallel concepts to the indifference curves in the theory of consumption Just as an indiffer nce c e represent various combinations of two goods which give a consumer equal am nt of Ii. 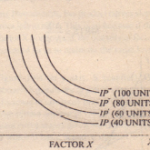 faction, similarly an iso-product curve also shows all possible combination of the t 0 inputs physically capable of producing a given level of output. Since an iso-p ct curve represents tho e combinations which will allow the production of an equal quantity of output. the producer would be indifferent between them. Iso-product curves are. therefore. called Produrt-indiflercnce Curve». They are also known as Iso-quant or Equal-product Curves. Any point on the isoquant is a recipe for the same output as an) other point on the same curve. The concept of equal-product curves can be easily understood from the table given below. In this table. we have assumed that two factors X and Y are being used to produce a given product.